Bilberry is a fruit that is native to Europe and is very similar in color and size to the Blueberry (which is native to North America). It belongs to the plant family Ericaceae, and some other names for it include Blaeberry, Whortleberry, Myrtle Blueberry, Winberry, Wineberry, Fraughan, and Huckleberry. While Bilberry is a popular ingredient in many European desserts such as pies, crepes, tarts, and jams, as well as being a tasty fruit that can be eaten fresh or as a juice, it turns out that it also has a number of beneficial chemicals which make it a great natural remedy. Some of these chemicals include tannins, flavonoids and anthocyanosides. The fruit and leaves (both fresh and dried) have been used in different types of herbal medicines for centuries. What are the Health Benefits of Bilberry? From a medical standpoint, Bilberry is known for its anti-inflammatory, antioxidant, collagen stabilizing, and astringent activity1. It became popular after World War ll when it was suggested that oral consumption of Bilberry helped British pilots in the Royal Air Force improve their night vision. While there are no conclusive studies that prove that Bilberry actually helps improve night vision 2, some recent studies show that it may reverse or inhibit macular degeneration which could help treat glaucoma, cataracts, and retinal disorders3. There are also suggestions that Bilberry could be used for a variety of other conditions including chronic fatigue syndrome (CFS), gastrointestinal disorders, diarrhea, kidney problems, urinary tract infection (UTI), hemorrhoids, skin infections, metabolic syndrome, weight loss, diabetes, osteoarthritis, gout, sore throat, cardiovascular disease, chronic venous insufficiency, and varicose veins. Bilberry contains anthocyanosides which may help treat diseases of the retina that would normally result in vision loss. Poor blood circulation can harm the retina of the eye and anthocyanosides may improve blood circulation and improve the integrity of blood vessels to stabilize connective tissues in the eye which can help with glaucoma, macular degeneration, and other retinal and vision problems. Simply eating 20-60 grams of fresh ripe Bilberry or one Bilberry extract capsule daily may help with vision impairment and other eye problems, particularly those caused by diabetes or hypertension. Bilberry is known for its anti-inflammatory, antioxidant, and vasoprotective activity. Studies show that flavonoids (anthocyanins) in Bilberry may help prevent the oxidation of bad "LDL" cholesterol, which is known to cause atherosclerosis (the build up of plaque in the arteries that can lead to heart attacks or stroke). It can also help improve overall cardiovascular health and Chronic Venous Insufficiency (CVI) by strengthening blood vessels and improving blood circulation in the body 4. According to an early study, taking one capsule of Bilberry extract containing about 173mg of anthocyanins daily for one month may help with CVI and other health problems associated with poor blood circulation. Therefore, a simple remedy for overall cardiovascular health is to take one capsule of Bilberry extract daily for about a month or incorporate 20-60 grams of fresh organic Bilberry fruit in the diet each day. Another option is to drink one cup of Bilberry tea each day. A tea can be made by boiling 1-2 tbsp of crushed Bilberries for 5-7 minutes and then straining the tea into a cup before drinking. The anti-inflammatory properties of Bilberry may help with irregular menstruation, symptoms of PMS and menstrual cramps. Therefore, eating fresh Bilberries and drinking one cup of Bilberry tea daily starting 3 days before the onset of your menstrual cycle until the end of the period (or about 8 days) has shown to help with cramps, nausea, headache, vomiting and other discomforts associated with menstruation. According to a recent study, eating 400 grams of fresh Bilberries daily for 5 weeks may help if you're struggling to lose weight 5. While 400 grams is a lot of berries, a more reasonable remedy is to incorporate 20-60 grams of Bilberry per day, along with a healthy diet and a good workout routine, in order to maintain a healthy weight. Bilberry contains antho and tannins which help the body manage blood sugar levels. A recent study suggests that eating fresh Bilberries three times daily along with fatty fish and a diet high in whole grains for three months can help lower high blood sugar levels. Also a research report published in Thrombosis Research suggests that use of Bilberry extract decreased blood sugar between 33%-55% in diabetic rats. 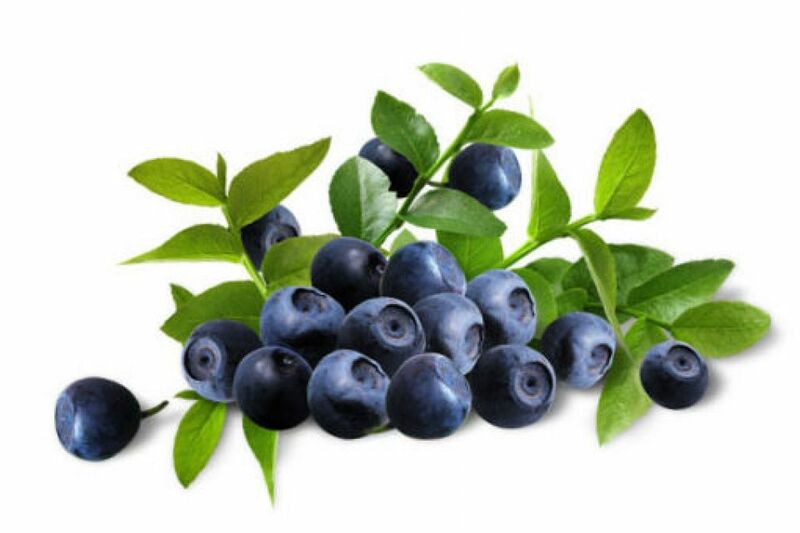 While more studies need to be done to assess whether bilberry could replace the use of insulin for diabetics, a natural remedy to regulate blood glucose levels is to eat 20-100 grams of fresh Bilberry or take one capsule of Bilberry extract with 25% or more anthocyanins per day. Bilberry contains tannins and pectin which helps with diarrhea, upset stomach and irritable bowel movement. The astringent effect of tannins help reduce the inflammation in the intestines and pectin acts as a soluble fibre and forms a thick gel which adds bulk to stool. This gelatinous bulk helps normalize, soothe and slow the painful contractions of the intestines due to diarrhea and other stomach problems. A simple remedy for diarrhea is to eat about 3 tbsp of dried Bilberries once daily for three days. A study suggests that drinking a cup of tea made with one teaspoon of dried Bilberry leaves for 3-4 days may help with diarrhea, bloating, flatulence and soothe upset stomach. The Bilberry leaves also contain pectin which is a soluble fiber and dissolves in water. You should visit your doctor if diarrhea or an upset stomach lasts for longer than three days to rule out any serious conditions. Due to the anti-inflammatory activity of Bilberry, you can use it to soothe the discomfort caused by a sore throat. Simply chew on a few dried Bilberries as needed up to four times a day. Gargling with Bilberry tea three to four times daily can also help. To make Bilberry tea, boil 1-2 teaspoons of mashed Bilberries for about five minutes, let it cool to a comfortable temperature, and then use the tea for gargling. The dried and fresh Bilberry fruit is considered to be safe when consumed in moderation. Also the consumption of Bilberry extract and Bilberry tea is safe as long as it is used as recommended on the particular package. However, the use of Bilberry in high doses for a long period of time (more than one year) is not recommended. The extract and tea are also not recommended for pregnant or breast feeding women as there is currently a lack of research studying its effects during pregnancy or in infants. 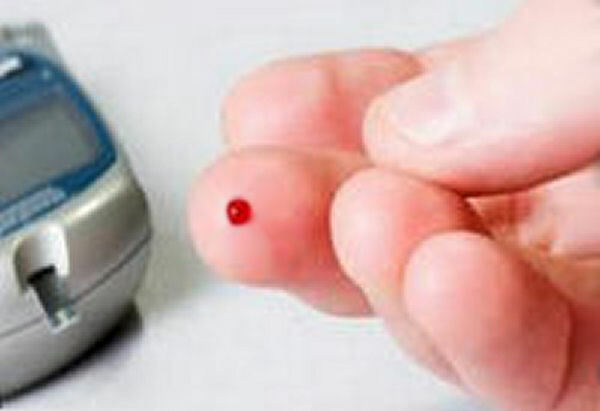 If you are currently taking medication for high blood sugar levels, the use of Bilberry extract or tea should be monitored closely by a medical professional since it has anticoagulant activity and can result in hypoglycemia (extremely low glucose levels in the bloodstream). Due to its anticoagulant activity, Bilberry extract or tea should also not be used if you are scheduled for any surgery or if you are taking any blood clot related medication. How and Where to Buy Bilberry? Bilberry can be found in fresh or dried form in many grocery or natural food stores. The extract and tea is available in herbal food stores and online. When buying Bilberry extract, select a product which contains at least 25% of anthocyanins ingredient. A few recommendations are presented below. ^ Seeram, Navindra P. (2008). "Berry Fruits: Compositional Elements, Biochemical Activities, and the Impact of Their Intake on Human Health, Performance, and Disease". Journal of Agricultural and Food Chemistry. 56 (3): 627–9. ^ Bone, Kerry. Blue is the Healthy Color: The Health Benefits of Anthocyanins. In Naturopathy Digest, 2008. ^ Ehrlich, Steven. Bilberry. Complementary and Alternative Medicine Guide, University of Maryland Medical Centre, 2015.